Go Knots and make Money, with Decorative Knots, Knot Tying Art.﻿ – Cool Ideas, Solutions – Social Comments. Cool Ideas, Solutions – Social Comments. 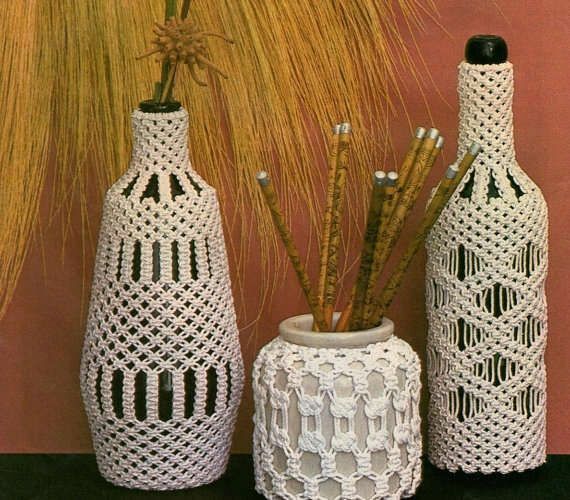 Ok so I know what most of you are thinking but I need you to get your head out of the 70’s because these decorative knots are not your mother’s macrame. These decorative knots, just like macrame were brought to the world on the ships of history. 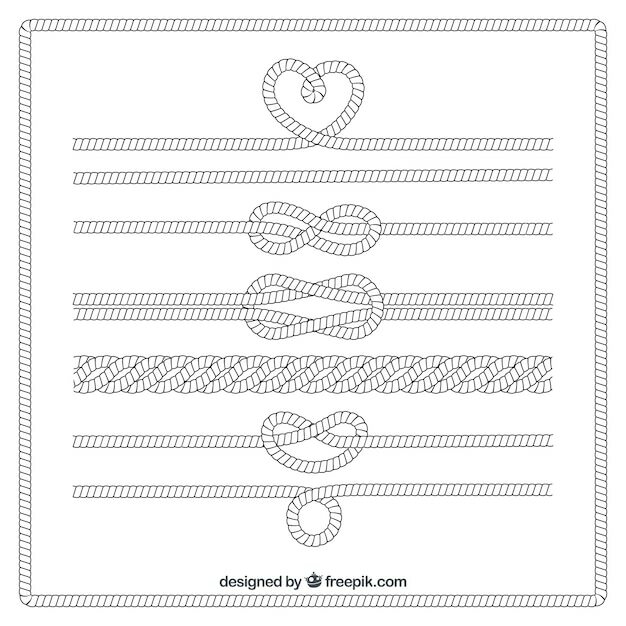 Sailors from both history and modern day, are masters of knot work and they used knots for almost everything on board ship. They were used as a way to move objects from ship to ship, secure items to the decks, they were even used to decorate masts, railings and bottles. Although many people today know this art as macrame, the sailors of the world call it Marlinspike Seamanship. Sailors would get creative and use their skills in knot tying to make items like hammocks, bell ringers, belts, bags and floor mats that they would sell or barter when they arrived in port. This helped spread their art around the world and help it still flourish in the world today. Through it use in the Navies of the world marlinspike seamanship would maintain its strength throughout history. The art of macrame would not fair as well and would almost fall off the face of the earth. It wasn’t until the hippie culture of the 1970s that would help the art of decorative knots regain it’s lost popularity. The hippie and grunge crowd of the early 70’s took the knots tied by the sailors of the world and began making items like wall hangings, small shorts, bedspreads, tablecloths, skirts, plant hangers, draperies and jewelry. This resurgence was short lived and would come to an end in the late 80’s early 90’s. But as we look around the world today it seems many of the things brought to us by these people of the 70’s is beginning to make a push into the mainstream again, along with this art using decorative knots. As decorative knots are making a push to the forefront again, the art of marlinspike seamanship is coming right along side of them as well. 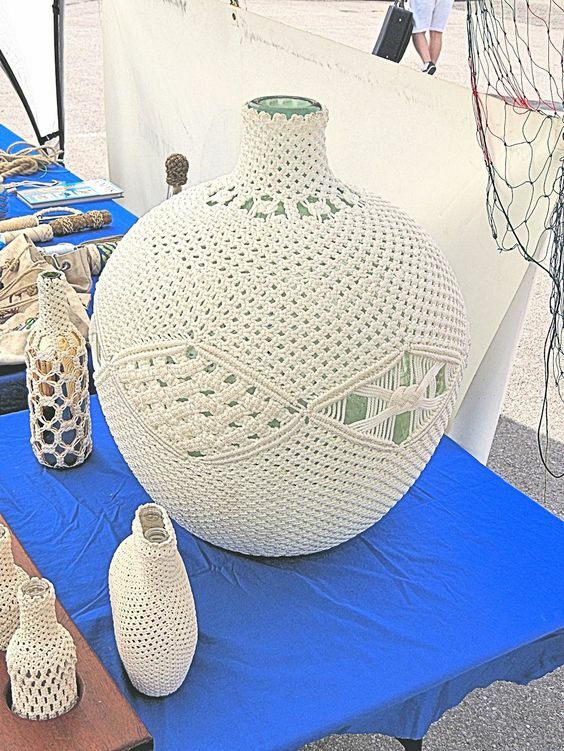 People are once again searching for items covered in intricate rope work to decorate their homes. Everyone wants to take an everyday room and do something with it that will amaze your guests. The most effective way to do this is to use some form of art. The problem is that most art is usually quite expensive and difficult to find. 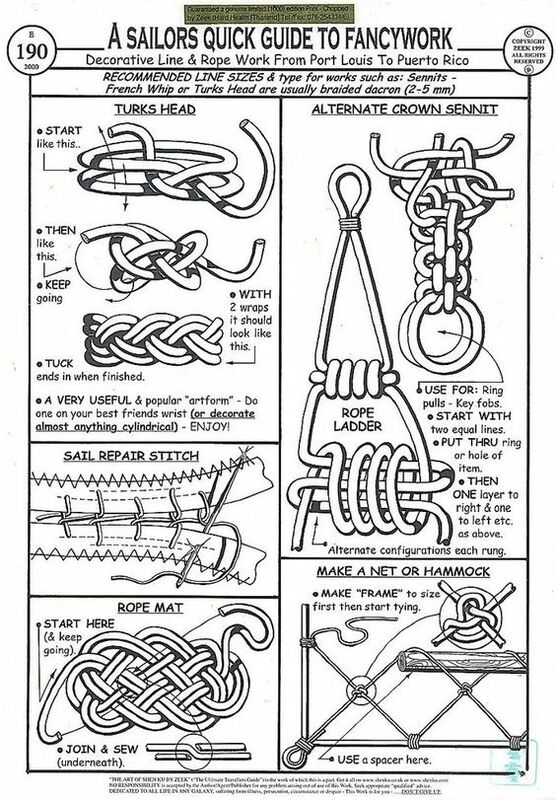 However, art using decorative knots can be found online and it can actually be made by anyone who has some patience and can tie knots. Remember we are not talking about your mothers macrame, we are talking about marlinspike seamanship. We are talking about cotton, hemp, nylon and manila rope being used to wrap bottles, make floor mats, bell ringers, coasters, needle cases etc… Wouldn’t a liquor bottle covered with decorative knots look better sitting on a bar or shelf than the same old, labeled bottle. 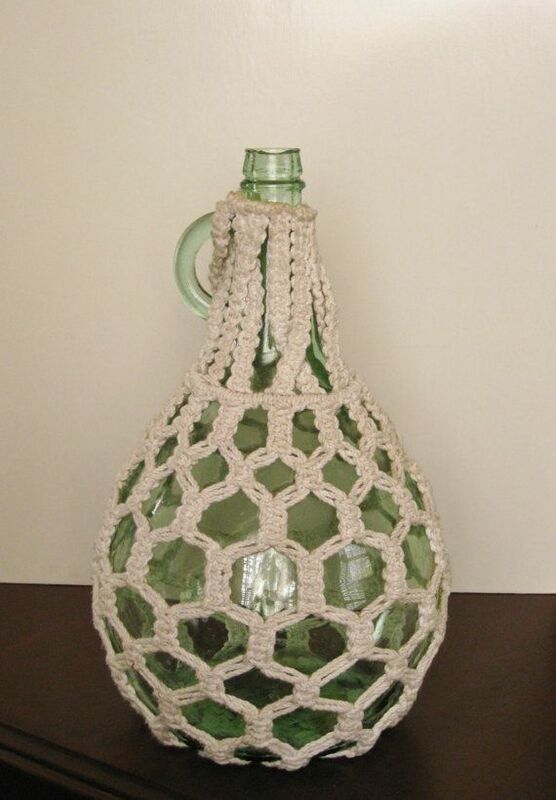 Imagine a friend walking into your house and seeing your liquor case filled with bottles wrapped in knots, then you pour him a drink and give him a coaster made of rope to place it on. I don’t know about you but I think that is cool and something totally different. All of us want a beautiful focal point in a room, and art made with decorative knots will create that focal point. Foot Note: There is handsome money to be made with Decorative Knots, it does not take lots of money to start, just get the basic of knot tying, learn, repeat and then just try different design patterns of your own, check some of the links here for ideas, tutorials and guidance, get set and go! Aiding and Abetting “Bad seed” in the White House! DID TRUMP GET THE MEMO? WHAT’S A DREAMER ANYWAY? ARTICLE: FOR SALE; TRUMP-SENATE-HOUSE REPUBLICANS! ARTICLE: TRUMP-PETING SOURCE and METHODS! Can You Say HYPOCRITES? PSCHHH! WANT SOME SECRETS? CHEAP! Enter your email address to subscribe to RalphyV's Blog and receive notifications of new posts and Special Offers (email will not be shared) exclusively for our Subscribers by email. Instant Paid Survey That Help Relieve The Debt Burden. Get Creative with your Greens! Making a Canvas Print With Your Very Special Photograph.